For efficient mission planning of troop movement, the Department of Defense needs reliable mobility maps. 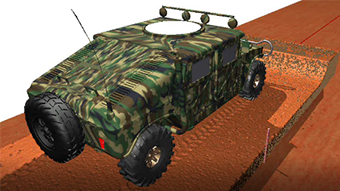 These maps are important for decision makers to plan routes and operations, select capable vehicles, and assess mission success of failure. The stakes are high, as mission failure often means potential loss of life. 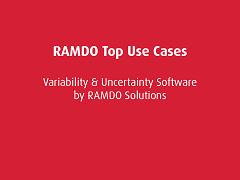 Presentation introducing a few of the top use cases for variability & uncertainty software, RAMDO.